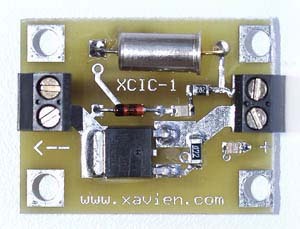 The “;XCIC-1”; is a G-SWITCH activated cluster igniter made by XAVIEN. This kit was designed to be used for people wanting to air start motor clusters. The design has a green POWER indicator as well as a red "continuity" indicator. The "XCIC-1" is designed using high current FET technology to help insure proper ignition of multiple pyros. . 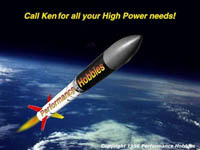 The “;XSSRT-1”; is a 1 second to 63 seconds’; single event timing and control system for medium to high power / experimental rockets. With its lightweight and small size, it is ideal for controlling a secondary stage, air-starting motors or ejection charge for parachute deployment. Units also come standard with a high visibility RED "ARMED" LED. The “;;;;;;XCET- 1”;;;;;; is a 1 second to 31 seconds’;;;;;; continuous event timing and control system. The "XCET-1" was designed for any application requiring a timer that continuously triggers depending on the users time settings. Perfect for triggering a camera. Units also come standard with a high visibility RED "ARMED" LED. 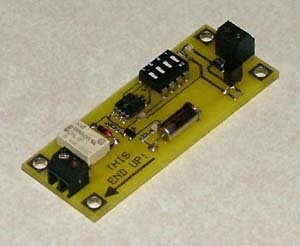 a high visibility RED "ARMED" LED.